I know you must be wondering, who is this beauty playing electric cello? Her name: Tina Guo. The worlds of classical music and heavy metal rarely meet. They are separated by venues, audiences, traditions, and cultural perceptions. Given these realities, you might be surprised to learn that a band named "Apocalyptica," a band composed of long haired, leather wearing Finns, is also a band made up entirely of classically trained cellists. If you've ever searched for information on instruments by the great violin-makers, chances are you came across the website for the National Music Museum, part of the University of South Dakota at Vermillion. This unassuming museum located far from the great artistic centers houses the preeminent collection of musical instruments in the world. Of particular interest is their amazing collection of stringed instruments by Stradivarius, Guarnerius, and three generations of Amati makers. Many of these instruments were crafted in the 1500's and 1600's. They represent the literal genesis of modern stringed instruments, and their presence in the National Music Museum's collection was the primary factor in the museum's incredible growth over the last 40 years. The National Music Museum was founded in 1973, and houses more than 15,000 instruments from all corners of the world. Highlights include some of the earliest known grand pianos, a collection of early brass instruments from Elkhart, Indiana, early Dutch and German woodwind instruments, and a collection of early Italian stringed instruments from Cremona that are found in the Witten-Rawlins collection. This collection was compiled primarily by a Yale-educated bookseller from Southport, Connecticut, Laurence C. Witten, and represents a snapshot of the violin's origins in northern Italy. Some of the highlights of the Witten-Rawlins collection of stringed instruments include the Andrea Amati "King" cello, the oldest surviving bass-register instrument of the violin family. Built as early as 1538, the cello was updated and painted in 1560 as part of its inclusion in a collection of instruments sold to the French court of King Charles IX. Only a few of the instruments from the collection survived the French Revolution, and the "King" cello is one of them. Check out more images of this fabulously painted instrument here. Another highlight of the Witten-Rawlins collection is a tenor viola made by Andrea Guarneri in 1664. This viola has the distinction of being one of three Cremonese instruments that have survived, unaltered, to the present day. The National Music Museum also owns the other two unaltered Cremonese instruments, a Girolamo Amati violino picccolo, and the Medici tenor viola by Stradivarius, made in 1690. All three instruments retain their original dimensions, as well as their original tuning pegs, scroll, nut, fingerboard, saddle, button, tailpiece, and bass-bar. These instruments provide incredible insight into the work that the classic Cremonese makers were doing hundreds of years ago. It is amazing that they have survived in an unaltered state to the present day, so take a moment to check out each instrument's page. The National Music Museum also has an incredible collection of instrument labels and luthier tools, including patterns, clamps, calipers, dividers, blocks, groove cutters and soundposts setters. Listings, descriptions, and pictures of the items in the Witten-Rawlins collection can be found here, and I would encourage you to browse through and see some amazing pictures of priceless stringed instruments. Beethoven's struggle with hearing loss is one of the more widely known legends concerning the famous composer. The subject is approached almost reverently, and is treated as this mystical element of his history, because it means that Beethoven composed some of the world's most beautiful music without the use of his hearing. In fact, Beethoven suffered from tinnitus, a symptom (not a disease) that results in mild to severe ringing in the ears. Tinnitus can result from ear infections, damage to the ear canal, nasal allergies, wax build up, or complications from other diseases. Beethoven's tinnitus, and subsequent deafness, has been attributed to complications resulting from typhus or an auto-immune disorder. It was also found in his autopsy that he had a "distended inner ear" which developed lesions during his lifetime, contributing to his deafness. Do you love the sound of a cello? That deep, booming voice thrills and captivates many listeners, including everyone that works at Fein Violins! Well, if one cello is a thrill, how about four cellos? Or twelve cellos? Or an ensemble of nothing but cellos? One of the best, and most fun, musical trends of recent years has been cellos, Cellos, and more CELLOS! Take a peak at these ensembles. They all who share one thing in common: Nothin' But Cellos! Each of these groups, and many others, have brought us a variety of ways to hear what these instruments are capable of. Connection, innovation, and collaboration. These are the three missions that the Portland Cello Project wishes to bring to its listeners. Giving you a new sound, this group of cellists travels across America touring from rock venues to country halls. They have over 800 songs, guaranteeing that no show will ever be the same. By Andy Fein, Violin Maker and Owner, Fein Violins, Ltd.
Take a sidelong look at your violin, viola or cello. You'll notice that the top and the back are not flat. In fact, they have pretty complicated curves rounding up side to side and from the neck to under the tailpiece. Those curves are called the arching of your instrument. The Kronos Quartet is one of the more visible and respected modern string quartets, active since 1973 and tirelessly commissioning and performing music across genre boundaries. From African music to jazz, salsa to Jimi Hendrix, the quartet's willingness to move outside the boundaries of classical music has endeared them to a much wider audience than the average string quartet. In addition to their willingness to perform all styles of music, the Kronos Quartet has commissioned more than 750 contemporary works from some of my personal favorites like Phillip Glass and Terry Riley. Their latest release, "Music of Vladimir Martynov," features works by one of the most interesting contemporary composers you may have never heard of, Vladimir Martynov. Vladimir Martynov was born into the former Soviet Union in 1946, the son of a respected musicologist. Martynov studied at the Moscow Conservatory, employing the 12-tone music technique and progressing into avante-garde and electronic composition. Martynov also developed an interest in ethnomusicology, studying the musical traditions of different Russian ethnic groups as well as ancient Russian religious chanting. He was involved in the 1970's Russian brand of minimalist composition that favored static, religiously inspired timeless composition over the more dynamic American brand of minimalism employed by the likes of Steve Reich. The Minnesota Orchestra was founded as the Minneapolis Symphony Orchestra in 1903, the same year of baseball's first "World Series." 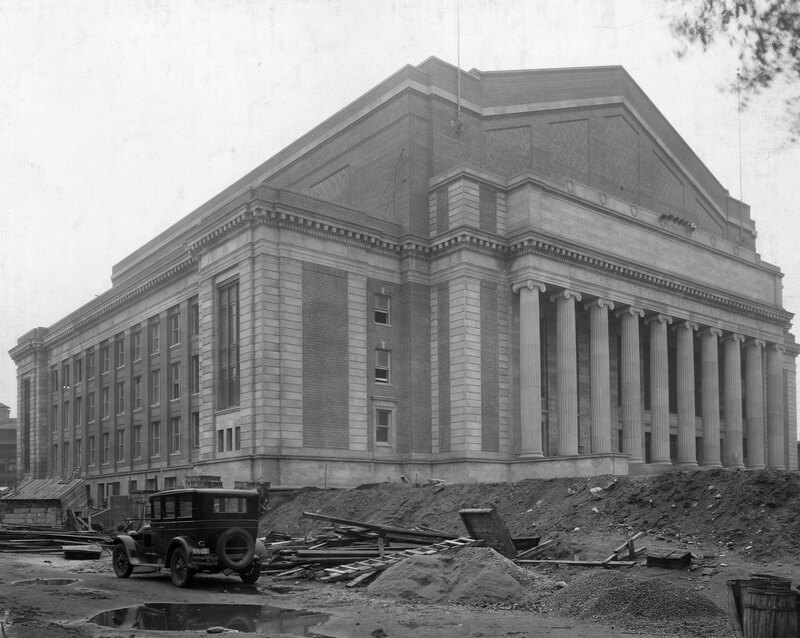 The orchestra made it's first of many trips to Carnegie Hall in 1907, and was one of the first orchestras to be heard nationally over the radio, in 1923. The orchestra thrived in the 1950's and 60's under music directors Antal Dorati and Stanislaw Skrowaczewski, releasing classic LP's that have since been re-released as compact discs. By Andy Fein, Owner and Violin Maker, Fein Violins, Ltd. The greatest era of violin making in Cremona from the late 1600s to the mid 1700s saw the life and work of Antonius Stradivarius, two of Stradivarius' sons- Omobono and Francesco, Guarnerius del Gesu, Giuseppe Guarnerius filius Andrea, and Carlo Bergonzi. In a strange and unfortunate twist of fate, all of these makers died within a ten year span. Antonius Stradivarius died in 1737, his sons in 1742 and 1743, Giuseppe filius Andreas in 1739, del Gesu in 1744, and Carlo Bergonzi in 1747. Violin makers carried on in Cremona, but they did not reach the same heights of fame as their predecessors. Who were these makers? 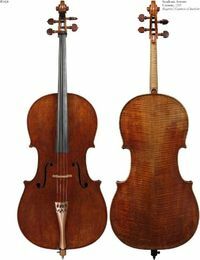 While these makers did not achieve the glory of the Golden Period of violin making in Cremona, there are certainly some very fine luthiers in their ranks.